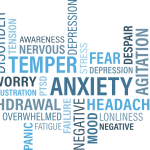 While domestic abuse in any category is unacceptable, one area that is often overlooked is emotional and mental abuse, which is common in toxic relationships, especially when a narcissist is involved. Sadly, chances are very high that either someone you know and love – or you yourself – are in or have been in an abusive relationship. People forget that there are many different types of abusive relationships – but it’s important to remember that both mental and physical abuse can be destructive and the scars take a long time to heal. Did you know that statistically, more women experience emotional abuse than physical violence? Consider this: More than 1/3 of ALL women who have been married have experienced emotional abuse. Specifically, 35% of all women who are or have been in married or common-law relationships have experienced emotional abuse, as opposed to the 29% who have been physically assaulted by their male partners, according to Statistics Canada. 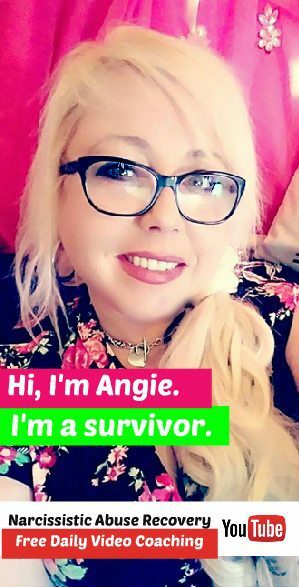 So, how can you possibly “miss” the fact that you’re being abused? The problem with abuse is that most relationships don’t begin with abuse. Instead, there are subtle shifts along the way, silent reprogramming until the abuser feels confident that they can control the relationship. In most cases, by the time the abuse becomes recognizable, the victim has been so brainwashed that she or he (men can also be victims of abusive relationships) doesn’t recognize the actions as abuse and actually takes the blame for his or her predicament. Related: How do you help someone in an abusive relationship with a narcissist? Victims often can’t be convinced that they’re experiencing abuse. They’re so busy justifying the behavior of the abuser that they don’t see it for what it is. In many cases, the simple answer is that it’s hard to admit you’ve allowed this to happen. But if you recognize some of the following patterns in your own relationship, it’s quite possible that you are in fact, a victim of abuse. 1. You are isolated, more than you used to be. Have you been cut off to some degree from friends or family? Does your partner seek to drive a wedge between you and other people you’re close to? Does he make you choose between him and others that love you? These are all signs of the beginning of isolation. An abuser knows that his power over you must be absolute in order to have the true dominance he seeks. Friends and family members are competition – not to mention potential witnesses to the abuser’s bad behavior. 2. You have no control of your money. 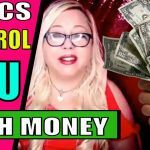 Does your partner control the finances? You should be equal partners when it comes to money matters. If your partner holds all of the power financially then he has power over your ability to stay, leave, spend money, and make decisions. 3. 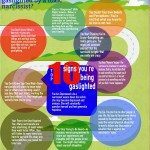 You really are “missing” the signs that someone else may consider obvious – maybe because they snuck up on you or because you’re not ready to admit you’re being abused (and who could blame you?). Even if you think it’s not a big deal, be honest with yourself – does your partner ever physically hit you, even if it seems innocent? Does he/she ever strike at you in anger, verbally or physically? Does he/she call you names, put you down? Does he/she humiliate, control or make you feel inferior? These are all signs of abuse at the hands of your partner. Some insults are more subtle than others – as are some of the physical violence against you. Early signs might include your partner playing too rough and then becoming upset or agitated when you indicate that you’ve had enough. Please note: If you’re experiencing physical abuse, you have to take immediate action to get yourself to a safe place so you can figure out what to do next. Please, stop reading and start taking action right now. Check out this page for emergency domestic violence resources. This is by no means every sign or indication that exists for mental or physical abuse in relationships. 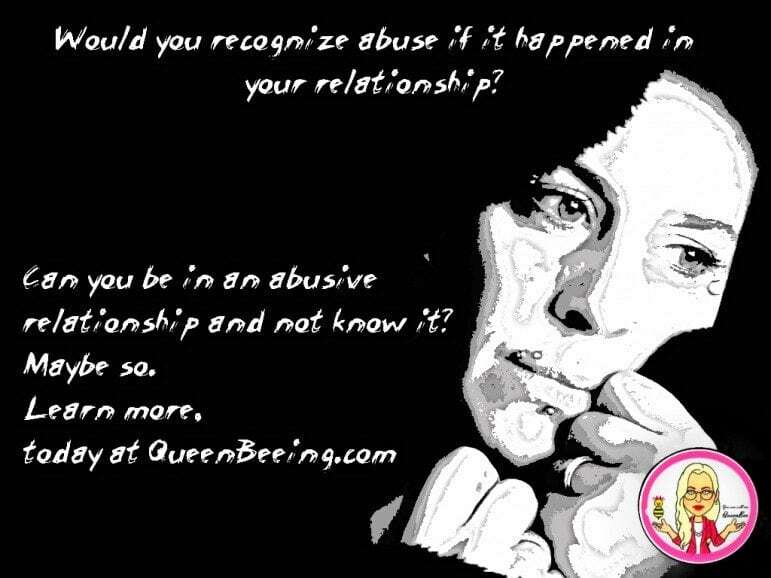 Chances are that if you feel you’re being abused – you are! You can always seek advice and guidance at a local women’s shelter or domestic violence center if you suspect you’re being abused and would like help. Or, if you’re NOT experiencing physical abuse, you might benefit from a little support from your favorite online life coach. Thoughts? Share them, along with your relevant experiences, in the comments below. 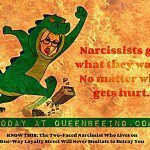 How do you help someone who is in an abusive relationship with a narcissist?